I wanted to publish this post couple of months earlier, but forgot about it 🙂 I hope that informations below are not very outdated and you can use it for something. When I started using git, I was just unable to use other source version control system, because of their lack of functionality or performance (comparing to other I used to work with during my professional career: svn, cvs, cmvc, perforce). At one of my previous companies I used to work for, they have all projects configured under perforce system. I just had to find the way to use git as my local repository. After reading couple of blog posts and searching through forums I found really simple method to do this. For Mac OSX, you can also use MacPort or Homebrew. It’s better not to place password here. Without P4PASSWD variable, from time to time you have to use “p4 login” command to authenticate to p4 server. It’s more secure. That’s it! 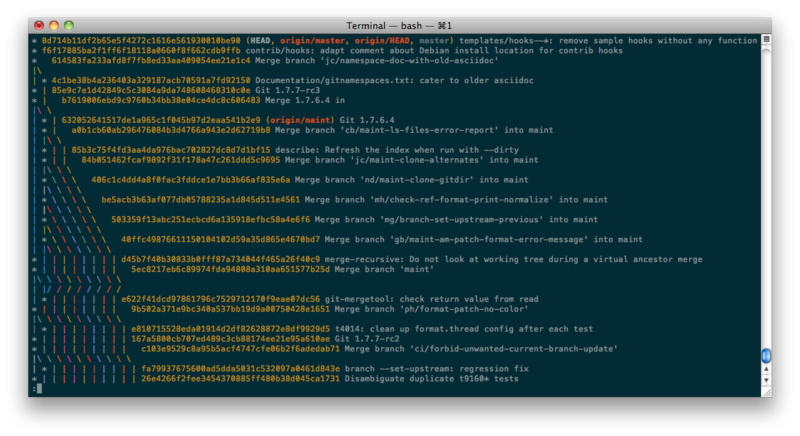 You have full featured local git repository and you can do all that nice rebase, stash, merge, branch things. I’m working with git in termial only. Git command line client is fast, reliable and have all the features in comparison with any gui git client. You can either alias these commands in bash or any other shell you use or alias as git commands in .gitconfig file in [alias] section. Git is my favorite SCV system up to now and most probably will be in the future. Besides of many great features is has pretty good automatic merge tool, that is able to solve conflicts, but not all of them. 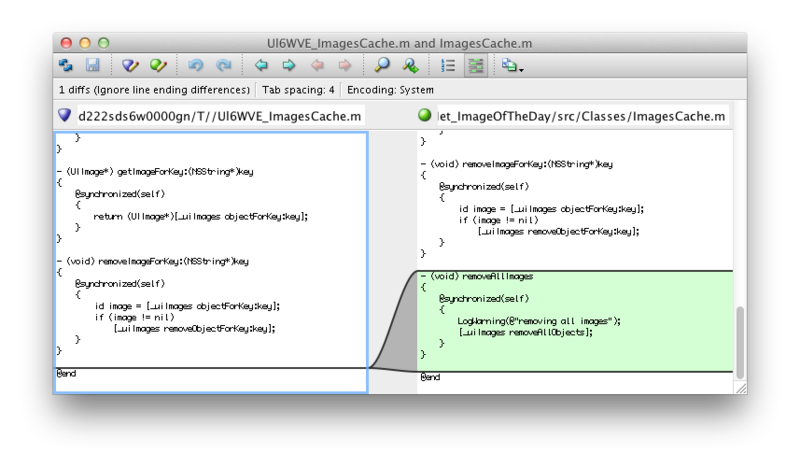 I found p4merge tool much better in case of automatic merging and manual solving the most hard conflicts. Is is very simple to mix together those two things to have the best from both of them and now I will show you how to do that. First of all, you have to install p4merge tool. Go to p4merge tool download page, choose “Browse by platform” tab, pick your platform (in my case it was Macintosh) and download P4V: Visual Client. After downloading, open dmg file and copy p4merge tool to Applications folder in your Dock. Second step is to create two simple bash scripts: p4merge and p4diff, that will be executed when git needs merge or diff tool. Create these scripts in directory that is in your’s system PATH (i.e. /usr/local/bin/). [ $# -eq 7 ] && /usr/local/bin/p4merge "$2" "$PWD/$5"
Don’t forget to add executable mode/flag to these scripts. cmd = p4merge "$BASE" "$LOCAL" "$REMOTE" "$MERGED"
If you don’t want to use p4merge as diff tool, just comment (using # character) [diff] section. Sometimes it’s faster for me to use command line diff instead of visual one. Now, when you type “git diff” or “git mergetool” in your’s project directory, p4merge tool will be started. I like to work in text console and I’m usually using bash and git for my projects. When I have to switch between branches couple of times during the day and made changes I have to be careful which brach I have currently checked out. 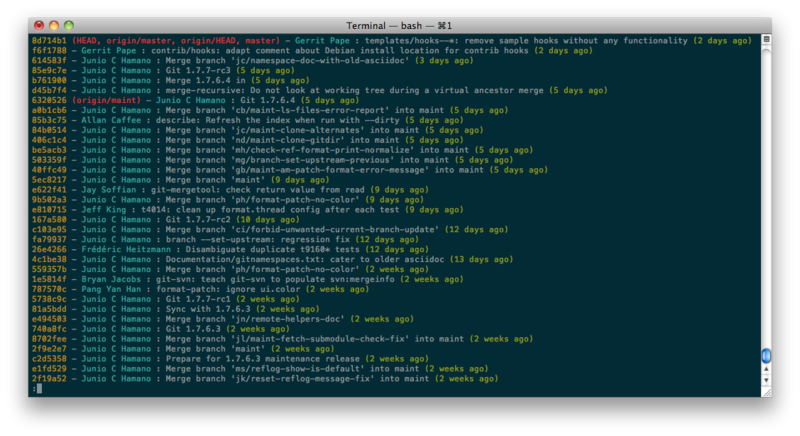 It can be done quickly by just typing “git branch”, but I don’t like to type it every time I need to do something. The interesting part is between “`” marks. This command lists all git branches, greps only the current one (with asterisk) and creates string with sed. If I will modify my prompt in the future, you can find the latest version here. I have to work with SVN at my current job, but my favorite source control is Git. To enjoy my work I’m using locally Git repository and remotely centralized SVN one. There is many guides how to do it, here is one of them: Effectively Using Git With Subversion. We have to follow pre-commit code review rule, so we are doing it by publishing patches. Unfortunately, merge tool from Windows’ Tortoise SVN does not recognize patches created by Git, wich on the other hand are properly recognized by unix tools like patch. To make it all work, I created simple Ruby script to convert Git patch to SVN patch standard. Link to this script can be found here. During my first project created in X-Code which I wanted to store in public GitHub repository I encountered issue with showing content of my source files on GitHub web page. After contacting with GitHub support (btw, they answer really fast and are helpful) they pointed out my line endings. Quick recon brought surpassing results. I realized that even modifying single line of code in the source file, git shows modification in the whole file, because it sees this file as a single line (Mac line endings was shown as ^M). Why I didn’t noticed it earlier? Don’t know. I’m a noobie on Mac. 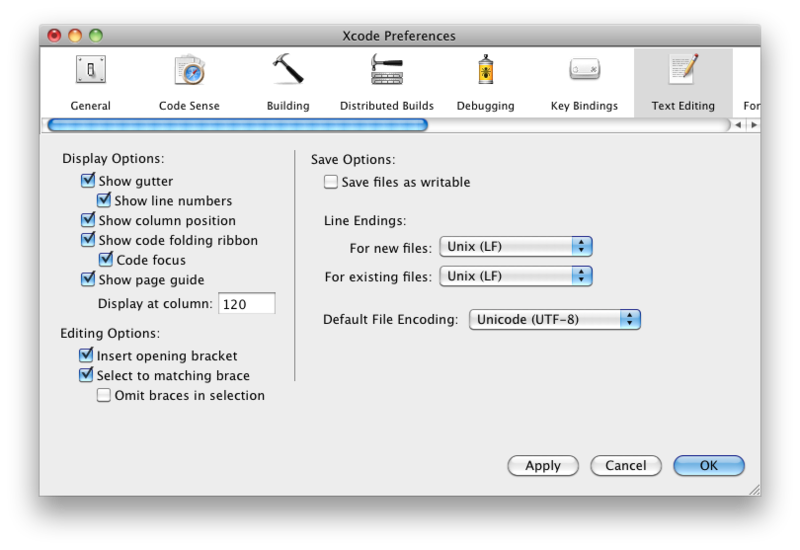 It should commit files with Unix line endings. I know it works in Windows, but somehow it hadn’t worked for me on my Mac. Creating new project from scratch didn’t help either and even if it would help for files committed to the repository, my local git problem is still not resolved.